In marketing precisely digital everything starts with a “Trigger” (The moment when the user needs your product or service) which is all about the idea of being at “top of the mind, tip of the tongue” We remember brands/services/products that are on the top of our heads. How to Escalate Digital Marketing Crusades of Talabat.com via Innovative Social Media and Search Engine Campaigns. I am not taking a standard audit approach for Talabat like I do for all other websites i.e. Auditing all the 4 channels (Search, Display, Video, Social) and then giving recommendations on each, rather I am taking an approach based on CDJ i.e. how the customer will take a decision. So there would be 3 sections of your digital marketing strategy which would be further divided into multiple marketing channels as per strategy & budget. I won’t be covering UX optimisation via App, this post is purely on digital marketing, getting visitors to download app is a mandatory call to action which will accompany any & every marketing activity recommended in this report. I have used a free tool “SIMILARWEB” for marketing analysis as most of the good paid tools for competitive analysis are not giving service in UAE. Please note we cannot rely on the data of Similarweb but we can identify major loopholes and strategy on a broad spectrum so objective here is not to verify nos… rather concentrate on the strategy. Website officially operates in 6 countries with a simple folder URL structure i.e. for each country/language separate folders is created i.e. basically, the website is SEO friendly and is enjoying organic as the major source of traffic. Social Media is strong and they have invested in branding. Overall 2.93% of traffic is coming via Social in which Youtube is strongest followed by Facebook, Twitter and Insta. This needs dedication and continual improvement, competitive analysis is a must and strong technical competency is needed, I will give some ideas which can be instantly applied to feed the CDJ. To check the SEO state of Talabat I did some random searches on 2 broad parameters i.e. Location and Cuisine as these are 2 most important parameters of CDJ in search for any restaurant discovery service. Same problems are detected as above (Deeper directory levels & Schema i.e. structured markup), I need not paste the Screen shot of each search result that Zomato is ruling the SERPS in Google for most location queries. See the meta tag analysis of Talabat vs Zomato, it would give us a lot clear picture. In meta tag implementation Zomato scores 58 while Talabat only scores 8. *Talabat is getting a good amount of organic traffic but am trying to hit the weak areas 🙂 after all, objective of a business is to do better. Please Note, Zomato is not having Arabic version so it gives an edge to Talabat and it rules Arabic searches. Search المطاعم في الكرامة (restaurants in Al Karama) Talabat tops the charts and am sure that a considerable amount of traffic in Middle East is coming via Arabic but if below recommendations are implemented performance will start to roar. Instantly create a URL structure plan or a 301 redirect plan changing all the major URLs to a simplified 3 level folder structure. For Eg : Search Query is : [Query1] in [Location] where query1 is “Restaurant” and Location is “Bur Dubai” , then auto ads should trigger with destination url of dedicated to Bur dubai. Feed E.g. Prospecting is the key, this section just concentrates on branding i.e. acquiring new customers, (segmentation/retargeting etc will be covered in optimisation). I could very well see that they are using Adroll and GDN as their allies in programmatic display marketing, rest when you are on to get better branding, keep in mind that exposure is directly proportional to budgets i.e. to get X no of impressions you have to spend Y amount. Once the traffic is on the website then actual mechanics of Segmentation and Retargeting starts which gives you actual conversions. Display marketing is the area on which minimum budget is being spent via Talabat and concentration is on content creation, high-quality advert videos can be seen on YouTube which are doing great and am quite +ve they must be spending well on “In-stream TrueView video Ads” for branding. I don’t know if Interactive Engagement display ads for acquiring new subscribers via various offers is being executed or not, (audit is not possible without account access) but Video engagement ads on GDN can do wonders in branding. Every platform has its own set of audience and if a content is distributed strategically in all the Channels i.e. YouTube, GDN, Facebook etc. then branding can attain next level. On this I can just give sheer advice :), real recommendations can only be given after audit of their current Display/Video marketing crusades. Now that Talabat is doing all the branding stuff terrifically, as I can see that the main source of traffic is “Direct”, I can give them some awesome tips on how to get the most out of it i.e. increasing conversion rates / Getting more conversions. We can delegate a good amount of budget to this section as this will give our MACRO goal aka sales a genuine boost. Customer Segmentation and Remarketing List. Now there could 1000s of scenarios and for each scenario, we need a tailored ad, so dynamic ads come into the picture both for GDN and Facebook. I have been running Dynamic Product Ads, Automated Ads and Dynamic Retargeting ads on FB for a while now and just initial research on Business model starts feeding my brain with ideas. As Facebook Pixel Events are not tracked they are not running Dynamic Product Ads / Dynamic Remarketing on Facebook, which is a good opportunity for them. 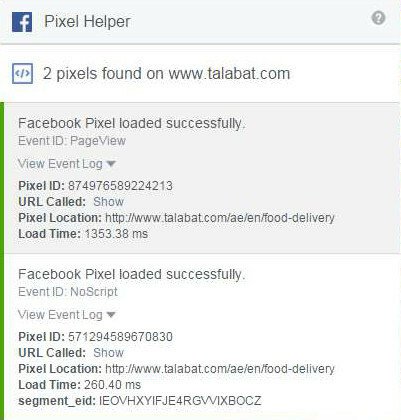 Talabat should implement Facebook Event Pixel tracking and build segmented audience and then Dynamically target the audience as per their behavior with dynamic ads i.e. Say a visitor searched for Arabic food in Bur Dubai, Search pixel event can be triggered and an AD can be created to target that visitor for arabic food in bur dubai. A dynamic feed can be created with each scenario and dynamic offers can be made tailored to visitor i.e. say a pic of Arabic recipe with message “10% discount on Arabic Cuisine in Bur Dubai” Blam!! on-spot , with Smartly.io we can execute it perfectly. We should not loose the opportunity in any given scenario, the process of continual optimisation of Ads is needed when a visitor comes to your website, a 360° retargeting with relevant messaging is needed. Same goes for GDN network, Dynamic Remarketing with Dynamic Product Ads should be done, in Talabat’s scenario offers on cuisines and locations will be targeted as per segmented remarketing list. 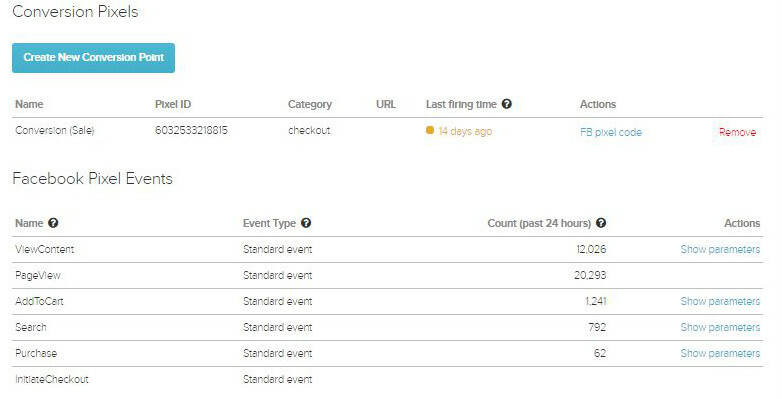 In AdWords while creating a Campaign, we can select Custom Business with a Custom feed (including all combinations) and dynamic remarketing can be done. So in restaurant offer will do the job i.e. anyone ordering food via Talabat will get 10% off on next 3 purchases. Offer can be communicated via restaurant/Flyer. I tried my best to identify the GAP areas rather than being laudatory of what they have done, sincerely speaking they are doing good but sensibly speaking (from experience) they can do better. Do leave your comments and queries and if you can add something to my ideas it will be Icing on the Cake. The point is I was totally immersed in “ZMOT”. Discovered via Instagram, searched on Google, and ZOMATO leads, this is something which is in sync with smooth CDJ, starting from trigger till discovering the actual service, point is nothing came in between i.e. branding/direct marketing were not part of this journey. You have to “mark your mandatory presence” in this journey be it via any method i.e. Paid or organic. I think I made my point clear if not am open for discussion.